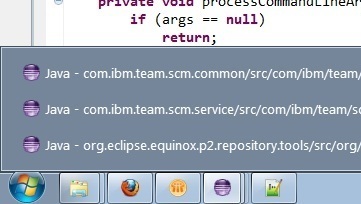 I often have multiple eclipse workspaces open. Windows 7 stacks them nicely for me, but this presents a problem: it is difficult to distinguish between them when switching between the applications. 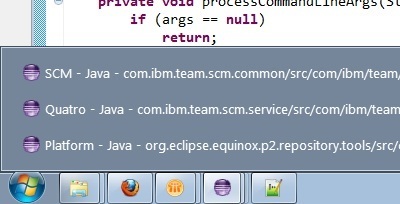 The path of the currently open file in each instance is visible, but that is not always enough information. 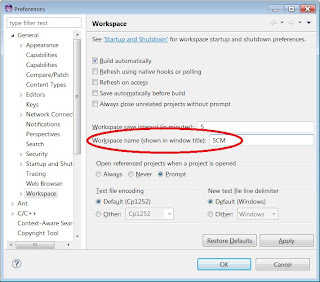 I've always used the -showLocation command line option which appends the location of the workspace to the end of the title. 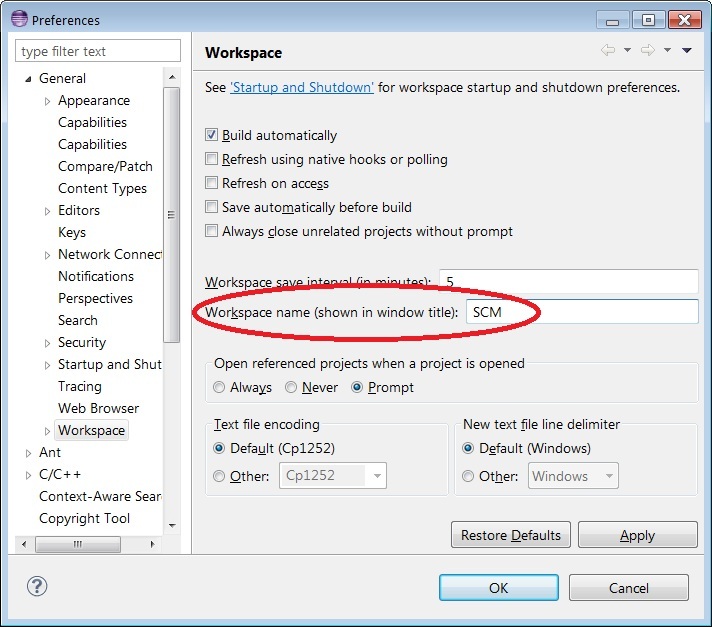 Unfortunately, most of the time the title is too long for the workspace location to show up when switching between applications.